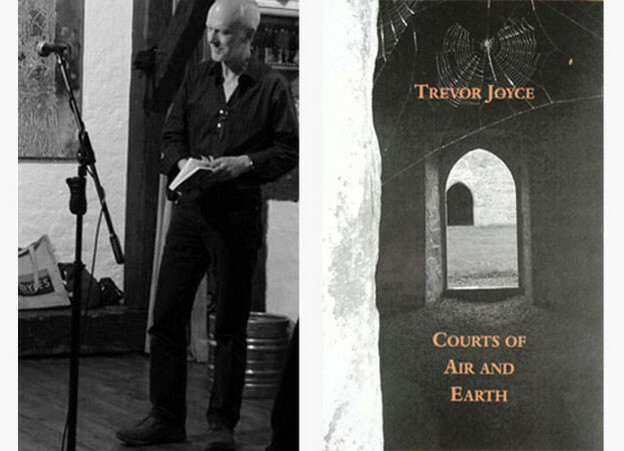 Editorial note: Trevor Joyce is a contemporary Irish poet whose work attests to the endurance and proliferation of a diversity of modernist traditions in Irish literature. At left, Trevor Joyce at the Prague Poetry Festival, 2009. Photo by Pam Brown. For over four decades Joyce has sought a vitality and innovation in his writing that continues to distinguish his poetry among national and international communities of poets. Here, formal constraint is an enabling device through which the chosen themes, ideas, and source texts are aligned and vivified. Joyce’s willingness to delineate these sources indicates a poetry always in excess of its constituent parts. Sources recur across collections and the notes that organize one poem become a palimpsest for another.